The all-important name when discussing Russian football in a European context is Roman Arkadyevich Abramovich. Since buying a controlling stake in Chelsea in 2003 and then turning them into a European powerhouse, the billionaire has become the public face of Russian football despite never being a major figure on the domestic scene. 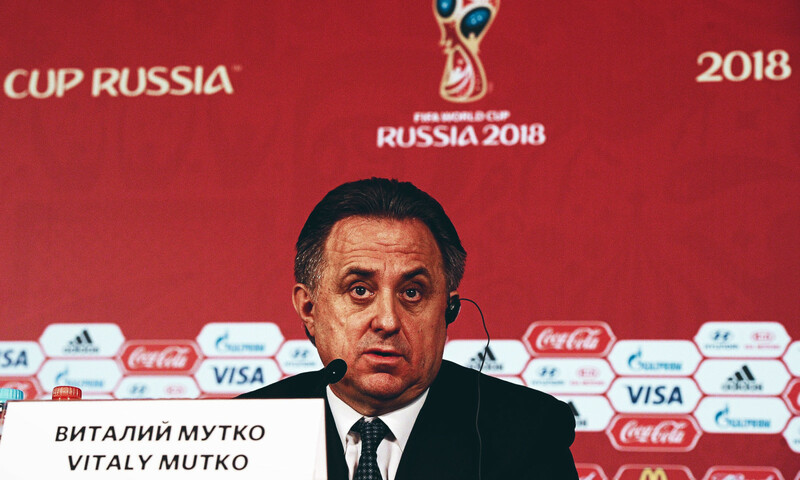 However, despite being world-famous and renowned for his success as a club owner, little is actually known about Roman Arkadyevich as he works hard on protecting his personal life and rarely speaks with journalists. “I never made any public statements, at least I tried never to make any public statements,” he said during a court case against his former business partner Boris Berezovsky in 2012. “I know I don’t do it well, I become very nervous, I forget what is that I mean to say. I can’t really convey my logic and my thoughts to the journalists, so I decided this is not my thing, I really shouldn’t be doing it,” he continued. Looking back, little pointed towards the young Roman Arkadyevich becoming one of the richest people on the planet. When he was just 18 months old, his mother died from a back-street abortion, and a further 18 months later, his father was killed in a construction site accident where he worked. Growing up without his parents, he was raised by his uncle’s family who eventually moved to Moscow, where Abramovich went also went to school and later university. Most reports describes him as an average student: “I never insisted that I was a good student,” he said in 2012, but he was innovative and had an entrepreneurial spirit. Despite it being difficult to get rich in the Soviet Union, he did his best by selling rubber ducks from his apartment in the country’s capital. Later, after his first wife Olga’s parent gave him 2,000 roubles as a wedding present, he grew his stock to also selling more expensive products such as deodorants and perfumes. When Mikhail Gorbachov’s peretroiska opened the door for privatisation in the 1980s, Abramovich got the opportunity he had been looking for, and he finally managed to make his many businesses legal. His fortune started to grow as he invested in a long line of different products. However, it wasn’t until he met Berezovsky – a business man with close links to the former Russian president Boris Yeltsin – in 1995 that he started his trip towards becoming the oligarch we know him as today. Berezovsky had a nationwide car dealership and ran the state car manufacturer Lada, and through him Abramovich gained access to the country’s most powerful men, something that was needed in order to succeed in post-Soviet Russia, and in 1996 he even moved to an apartment inside the Kremlin. First of all the two business men had to persuade the head of the Omsk oil refinery, Ivan Litkevich, to back the formation of a new company, which he promptly refused to do. Two days before the company was established Litskevich was found drowned in the river Irtysh. His driver, who was the only witness, was later killed during a fight. Elsewhere, Berezovsky and Abramovich convinced important people to back their new company by offering them, or their family members, jobs, which happened in the case of Viktor Gorodilov – head of Neftegas, an oil drilling company – whose son Andrei received a job and later backing for his political career. In the end, Berezovsky and Abramovich paid $100 million for the company, which was valued at $600 million, and that created the foundation for Abramovich’s wealth. The money found to purchase the company came from the highly controversial loans-for-shares programmed introduced in 1995. In order to fund his presidential campaign, Yeltsin leased state-owned companies such as Sibneft to banks, and if the government failed to pay back the loans, the banks kept their stakes in the companies, which did of course eventually happen. Being one of the wealthiest and most powerful men in the country, little stood in the way of Abramovich as he started his political career is 1999 when he was elected for the Russian State Duma as a representative for the Chukotka Autonomous Okrug. The same year he became the first person to suggest to Yeltsin that he appoint Vladimir Putin his successor – and to this day the two men remains close friends and allies. The next year he was also elected as governor for Chukotka, a post he held until 2008. During his time as governor, Abramovich invested a large amount of his personal fortune into the development of the Far Eastern Region, but he was also often criticised for being out of touch with the citizens as he spent most of his time in London. There were also rumours of Sibneft receiving significant tax breaks in Russia’s most north-easterly region. Three years later, in 2003, he became the owner of Chelsea and began the journey that would turn them into European champions and an English powerhouse. His takeover of Chelsea spurred an increased interest in English football in Russia, but the club was already quite popular in their owner’s’ homeland due to goalkeeper Dmitry Kharine who represented the Blues between 1992 and 1999. “Roman’s takeover wasn’t the reason why people started to follow Premier League and Chelsea in Russia, but of course such a big deal certainly increased the interest,” Taras, head of Chelsea Russia, explains. Although English football received a boost following Abramovich’s entrance, not everyone was pleased with his decision. He was accused of being unpatriotic by the former mayor of Moscow Yuri Luzhkov, who even added that Abramovich “spat on Russia” by investing in Chelsea instead of a local football club. Luzhkov’s comments were backed up by the head of the Russian Orthodox Church, the Patriarch Kirill, who called the rant “very correct and necessary”. Perhaps it was to meet this criticism that Abramovich and Sibneft in 2004 signed a three-year sponsorship agreement with CSKA Moscow, who had won the Russian Premier League under the guidance of Valeriy Gazzaev. 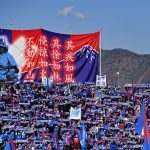 Five months after the sponsorship agreement had been signed, CSKA were drawn in group with Chelsea in the Champions League, which caused UEFA to start investigating Abramovich’s relationship with CSKA as no-one was allowed to own more than one club participating in the tournament. Abramovich’s success in sport inspired his old partner Berezovsky, who founded Media Sports Investment the same year. MSI went to cut a deal with Brazilian club Corinthians where they secured the transfer rights of Argentine internationals Javier Mascherano and Carlos Tevez along with a big chunk of any future profits made by the club, and that way Berezovsky was a key player in the two Argentines’ highly controversial move to West Ham. Luckily for Abramovich and Sibneft, they were soon allowed to continue their sponsorship as it was proven that Roman Arkadyevich had no interest in CSKA, and the tournament went on. Chelsea defeated CSKA twice, but the Army Men still managed to finish third in a tough group with FC Porto and Paris Saint-Germain. Sibneft’s sponsorship agreement with CSKA was terminated in 2005, a couple of months after the Army Men’s UEFA Cup victory, when Abramovich sold his shares to Gazprom, who then went to buy league rivals Zenit Saint Petersburg. Sponsoring the Army Men wasn’t all Abramovich did. In 2004 he also broke ground of Arena Omsk, an ice hockey stadium for Avangard Omsk, who won the Russian Superleague the same year, which was eventually donated to the club for free. 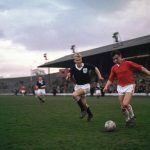 However, most importantly, he set up the National Football Academy (NFA) fund, which aimed to develop grassroots football in Russia, and fill the gap in youth development left by the fall of the all-powerful Soviet Union. Between 2004 and 2013, when a spokesman of Roman Arkadyevich announced that the NFA had “fulfilled its objectives”, Abramovich invested up to $200 million, and for his money 130 football pitches were built, coaches were educated and facilities improved all over the country, while study trips to various destinations in Europe were also arranged and paid for. Finally, Abramovich took control of one of Russia’s most successful youth academies, the Konoplov Football Academy, in 2006 when the founder and owner, Yuri Konoplev, died of a heart attack. A few months earlier, the academy’s second tier side had given a debut to a 16 year-old midfielder named Alan Dzagoev. The National Football Academy also helped fund the Russian Football Union, including the $7 million annual salary of Dutch head coach Guus Hiddink who guided Sbornaya to the semi-finals of the 2008 Euros, the best result ever by the Russian national team. After numerous controversies between Abramovich and Berezovsky, the two former partners ended up in a British court in 2011 when Berezovsky accused Abramovich of blackmail and seeking more than £3 billion in damages. 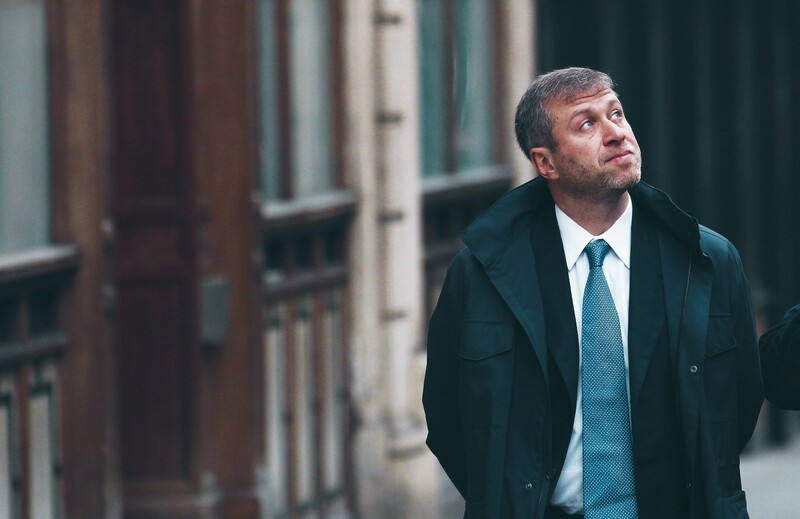 The case was later dismissed due to a lack of convincing evidence from both parties, but it forced Abramovich for the first time to speak openly about how he made his fortune and his actions in Russia’s early years, something he had avoided for years. Although he has left Russian football behind for now, Abramovich remains the owner of Chelsea. Many trophies later, perhaps he won’t be the last Abramovich to own a football club. In 2010 his oldest son, Arkadiy, held several meetings in Copenhagen and London in an attempt to take over Danish powerhouse FC Copenhagen, which made some media outlets suggest he was preparing for the day he would take over Chelsea. In the end, the deal fell through despite Abramovich Jr. being ready to invest €60 million in the club. In the football world, Abramovich’s masterpiece has been his many titles with Chelsea, but his most important contribution to Russian football might actually have been his investment in the Konoplov Football Academy. On top of that, the success and results delivered by the Russian national team at the Euros during the summer of 2008, which was financed by Abramovich, will never be forgotten as it once and for all put Sbornaya back on the map, and gave the citizens their football pride back. Like him or loathe him, many in football have much to thank Abramovich for.